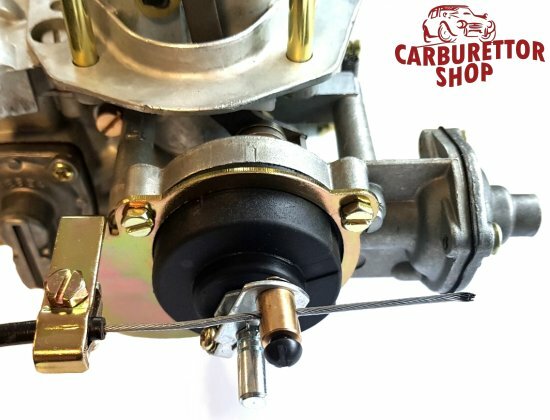 The automatic choke mechanisms of the Weber DGAS carburetors are known to become cumbersome when they're coming of age. This can result in a partially activated choke and consequently and overly rich mixture. 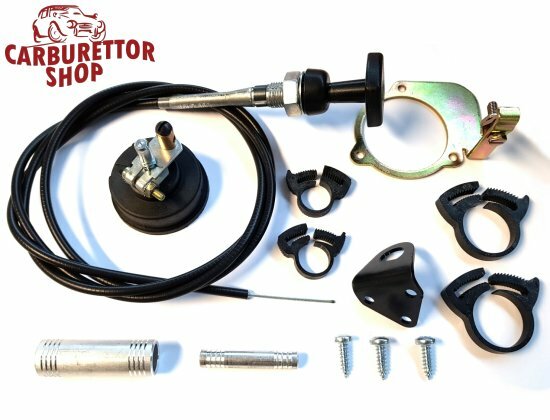 This manual conversion kit completely replaces the "automatic" part in the choke mechanism and replaces it with a hand-operated cable system. This kit contains all the parts depicted with the exception of the carburetor in picture 2 which is solely used for illustration purposes and it not included in the kit or price. The set includes clear instructions in English.